Bella crouches in her start position before the 200 meter dash. Born premature, Bella spent the first 18 months of her life in a CMN Hospital. She is among the youngest in the United States and the youngest in the state of Florida to have ever received a heart and lung transplant. 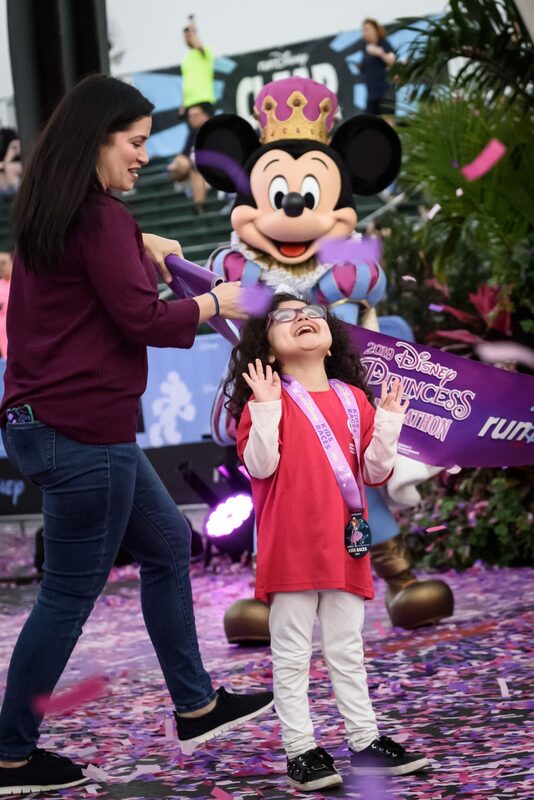 Today, Bella is a thriving 7-year-old who thrilled spectators during the Disney Princess Half Marathon Weekend when she competed in her first race ever. Jumping for joy after finishing the race with her twin and older sister. 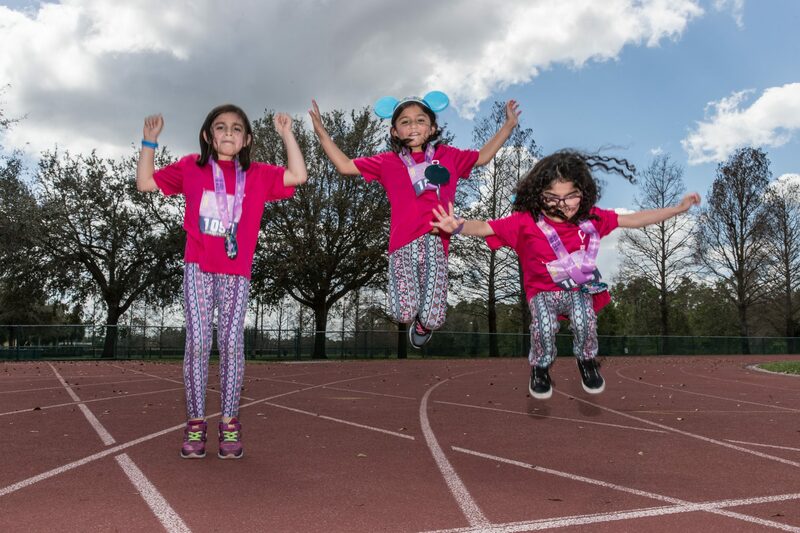 Running gives Bella a chance to exercise her lungs and she chose to run the dash with her twin sister, Jessy, and her older sister Mia. 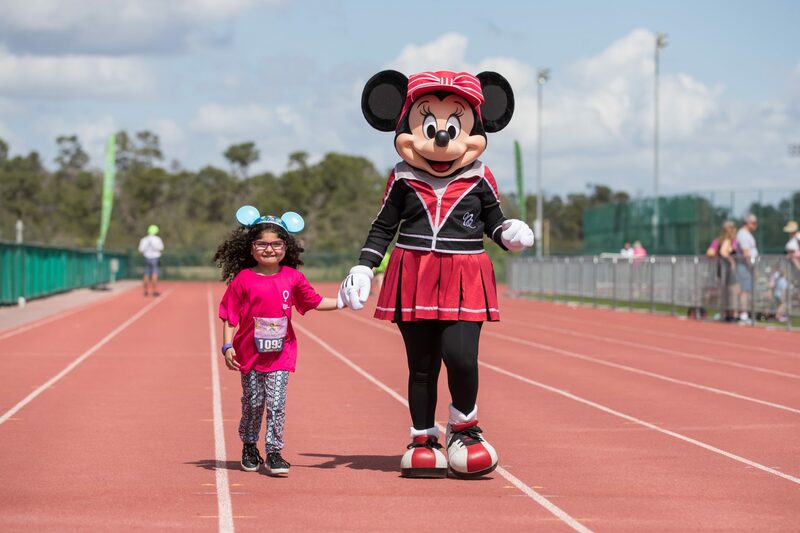 As she fell behind the runners, the emcee and the crowd got behind her, cheering her on as Minnie helped her along the track to the finish line. 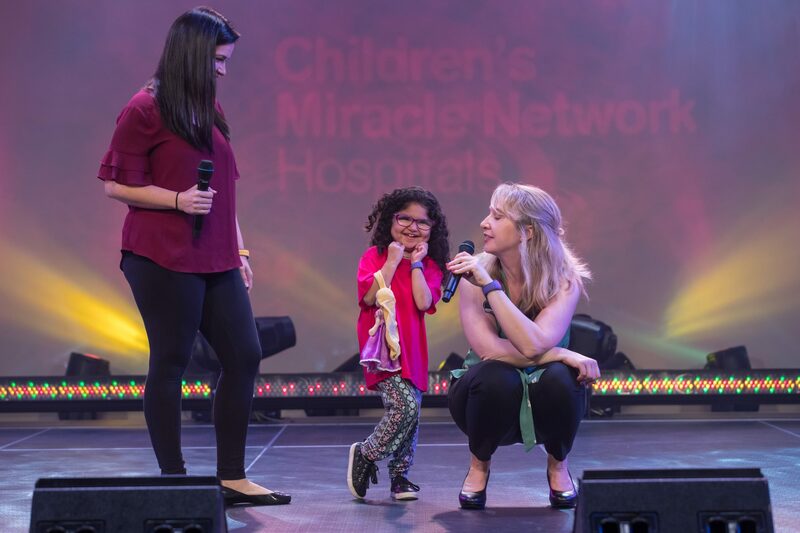 Bella delighted the 275 Miracle Maker runners, participants who raise money for CMN Hospitals, on stage during Miracle Morning breakfast. As her mom, Krystina, told their story of hope and healing, Bella’s happy-go-lucky personality danced and pranced on stage as she held her favorite Disney princess doll, Rapunzel. When born, her life expectancy was 7 months, but UF Health Shands Children’s Hospital was able to double her lifetime to 14 months when she received her heart and lung transplant. Her family slept by her side throughout her hospital journey on one of the many pullout couches, funded by donations to CMN Hospitals. 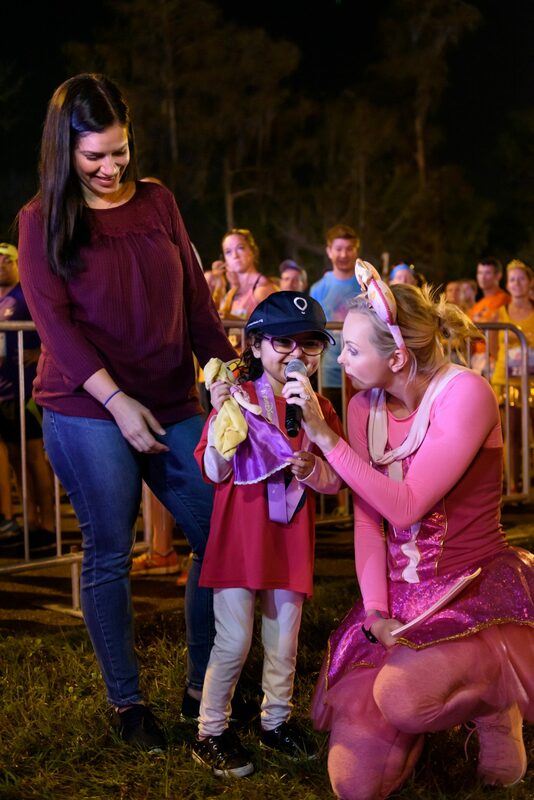 The Half Marathon kicked off Sunday, Feb 24 with Bella and her Mom, Krystina, telling Bella’s miraculous medical story to over 20,000 runners corralled to start. 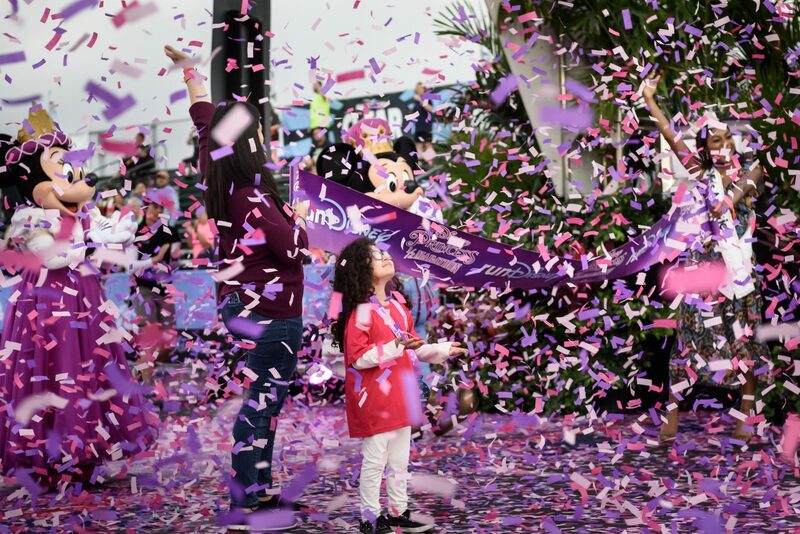 Along with Minnie and Mickey Mouse, Bella, her mom and Miss America were invited to hold the finish line tape to welcome in the first finisher, top male finisher and top female finisher. To provide the best care for kids, Children’s Miracle Network Hospitals rely on donations and community support. 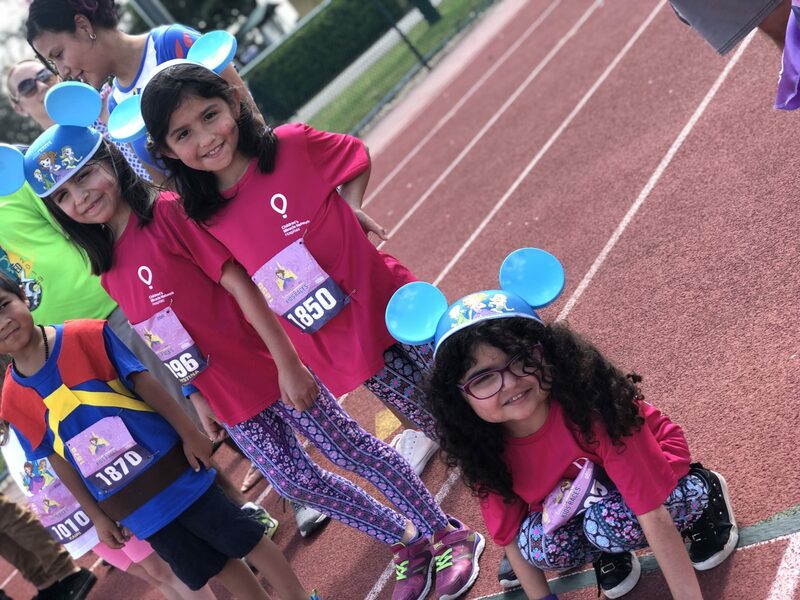 Various fundraising partners and programs, like the Disney Princess Half Marathon Weekend, support its mission to save and improve the lives of as many children as possible. Funds from CMN Hospitals also provide the most advanced medical technology and treatment available, ensuring that Bella receives the best care possible from 11 specialists at the hospital. Recently, the pediatric department also received new tools to visualize airways in kids like Bella because of funds from CMN Hospitals.